After a number of years working on the book, Wildflowers of Pennsylvania, I was ready to return to more frequent botanical forays. At that time the Boyce-Mayview area came to my attention. I live so close to the property that visits were quick and very rewarding. It occurred to me that a listing of the plants on the property might be a valuable asset in helping preserve the natural areas in the park. With the aid of several Citizens for Land Stewardship and some members of the Botanical Society of Western Pennsylvania we began monthly hikes in 2003. We identified as many plants as possible during that year. When I questioned an identification, I collected a sample, brought it home, and keyed it out in Manual of Vascular Plants of Northeastern United States and Adjacent Canada, Second Edition, Copyright 1991. When we completed that season I compiled the list that follows. John Despines contacted me in the Spring of 2004 with his additions to the list, and though the lists are still not complete they represent a fair beginning to assess what plants can be found on the Boyce-Mayview property. The original list gives dates that indicate approximate blooming times. No attempt was made to show plant locations. When the trails in the park become officially established and named, what may be found on each trail could be identified. Although additions to the list are welcomed, a competent person who is qualified to offer a true identification should make them. 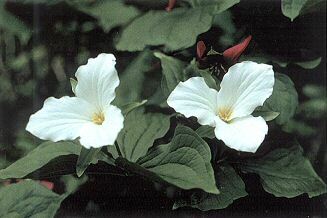 The listed dates usually refer to when the plant was observed in bloom.